SPE Round Robin: Back in Black(Berry) and Loving It!!! "The BlackBerry Bold leaves little room for improvement. The Bold's faux leather back and metallic accents scream luxury and with 3G and a 624 mHz processor, the BlackBerry user experience is kicked up to a new level of performance. In terms of having a capable smartphone that gets things done while on the go from 9 a.m. to 5 p.m., this is it. And when the workday is over and you're looking for things to do, the Bold doesn't disappoint as a media device either. The Bold's display is absolutely brilliant, providing picture/movie viewing quality that sets a new standard for smartphones, and the Bold's dual internal speakers are surprisingly loud and clear. This makes the BlackBerry Bold a true 24/7 smartphone. My only complaint is that the Bold is a little too large to be considered truly pocketable." That's about as concise as I get and the Forbe's quote does a pretty good job of summing up my feelings in regards to the Bold. The Bold ROCKS hard, just like AC/DC.. get it?.. 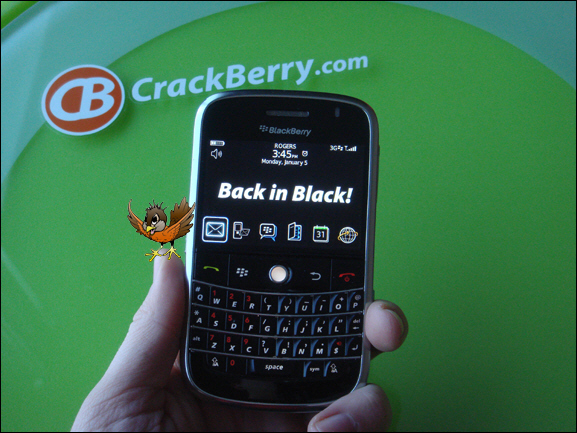 Back in Black(Berry)?! lol. But at the same time, the Smartphone Round Robin is all about tasting the forbidden fruit... sleeping with the enemy... or whatever old adage you want to use. And with all of my smartphone 'cheating' for the year done, coming back to BlackBerry has given me a greater appreciation for all of the things I love about BlackBerry, but at the same time, my expectations for what I want to see from RIM in the future have been raised. 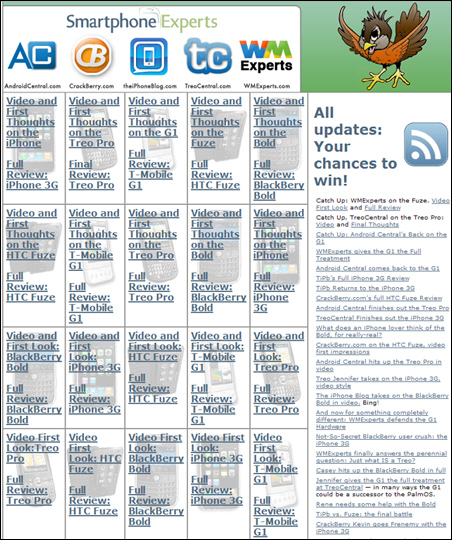 While we don't declare a "winner" in the Round Robin, if you take the time to read all of the reviews by all of the participating editors, it is my observation that the BlackBerry Bold and iPhone 3G came out as the two clear winners. RIM and Apple have different smartphone philosophies - BlackBerry reigns supreme as a communication tool/get it done device while the iPhone 3G excels as entertainment/media focused smartphone - so where your priorities lie will determine which device best suits your needs. The BlackBerry philosophy and BlackBerry Bold smartphone in particular suit my lifestyle and the way I use a smartphone better than any other device on the market. That said, the fact that the BlackBerry Bold is a near-perfect device doesn't mean RIM should stop with near-perfection. In my recent time spent with the Windows Mobile, Palm, Android and Apple powered smartphones, I did find little things about each platform/device that I wish/hope eventually make their way into BlackBerry smartphones. 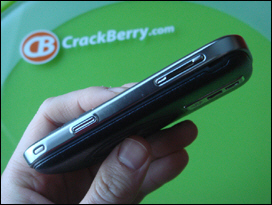 Whatever BlackBerry device we end up using in next year's Smartphone Round Robin, I want it to be even perfecter. The BlackBerry Bold. RIM built it as their first no-compromise smartphone. Every BlackBerry prior to the Bold sacrificed something. Example - you could get an 8310 Curve with GPS or an 8320 Curve with WiFi but you couldn't get both GPS and WiFi in one. And even with the release of the next generation Curve 8900, though it features both GPS and WiFi it doesn't run on 3G. The Bold is RIM's power user device. As the replacement to the 8800 series, it features a slightly bigger form factor, but the device is undisputedly the Cadillac (or is it Range Rover?!) of the current BlackBerry offering, featuring power under the hood -- 3G / WiFi / GPS / Fast 624mHz processor -- and a whole lot luxury at your fingertips via an awesome display, dual speakers and a leather back. It screams BLING. 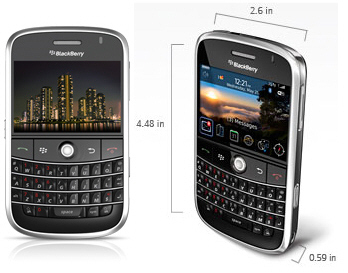 When the Bold was introduced at WES 2008 this past May, it was the first of RIM's next generation smartphones to be announced. Since then we've seen the entry level Pearl Flip, the touchscreen BlackBerry Storm and the evolved BlackBerry Curve 8900 hit the market. Though in my mind the Bold has retained "flagship" status even while these other devices have been announced/released, the Bold is not the clear winner in every respect. The Storm and Curve 8900 both feature a 3.2 megapixel camera vs. the Bold's 2.0, and at 256MB the Curve 8900 has twice the Bold's internal memory. 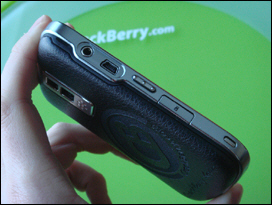 The Bold is also the last BlackBerry smartphone to be introduced that uses miniUSB. Since the launch of the Pearl Flip and devices thereafter, RIM has made the move to microUSB. So while there is no compromise to the Bold's feature set, RIM has still left users to compromise among specs of certain features. Keeping in mind that the Bold 9000 is a GSM phone, the odds are the Bold will clearly return to its "King of the Hill" status when the CDMA version (Bold 9030 by all accounts) gets released and features the latest spec hardware: 3.2 megapixel camera, twice the RAM (hopefully) and microUSB. Owning and using all of the BlackBerry Bold, Storm, Curve 8900 and Pearl Flip regularly, I've found the competition for status of "my favorite" to be extremely close between the Bold and Curve 8900. I prefer the size of the Curve 8900 in my hands and the ability to place calls via WiFi/UMA, but the Bold's 3G, slightly physically wider screen, plush keyboard, extra CPU snappiness and leather back just do it for me. Basically, I flip flop between the two regularly - preferring whichever one I'm using at the time! Suffice to say, for the smartphone user who wants a physical keyboard, you really can't go wrong with owning either the Curve 8900 or BlackBerry Bold as both get the job done well and do a great job in getting across the intended BlackBerry design philosophy (for Storm thoughts hit up this podcast). But when it comes to looks, the Bold's stylings are just that, BOLD. And I do love Bold. All in all the BlackBerry Bold's specs and features read well. But where they really show themselves off is when you actually hold and use the device and you experience them all working seemlessly together. Click an image below to enlarge it - be sure to take note of the image captions more hardware impressions. If you look at all of the BlackBerry smartphones currently on the market, it's easy to tell RIM's philosophy - put the BlackBerry "Experience" into as many form factors as possible. One isn't necessarily better than the other overall, but better for each individual. Those who appreciate touchscreens will want the Storm, those with small hands or who need a pocketable device will like the Curve, those with big hands or who need 3G will go for the Bold. Take your pick! The Bold's hardware hits everywhere it should. It packs all of the features that are expected in a top tier smartphone and they work together near flawlessly. All of the editors in the Round Robin who used my Bold were blown away at just how "fast" and "smooth" the Bold is to use. And it's true. It's amazing how big a difference there is between the Bold and the 8800 or Curve 8300 series in terms of performance. I used to LOVE my Curve 8320 - to me THAT device was near perfection. But once you use the Bold for a few days and then go back to a 83xx or 88xx device the change is tough. The Bold is so fast and the display so crisp that it suprisingly and sadly makes the 83xx and 88xx feel like second class smartphones. OS 4.6 on the BlackBerry Bold represents an evolutionary step forward for the BlackBerry Operating system over previous versions, though thanks to the massive hardware improvements (rock'n processor) in actual use it feels like a giant leap forward - at least when compared to the Curve we used in last year's Round Robin. 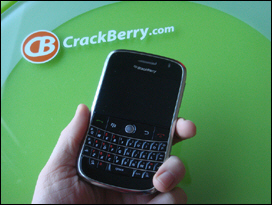 When you begin to flick at the trackball on the Bold you know from the sheer ease and speed that this is how RIM intended the BlackBerry experience to be from day one. Having spent a ton of time on BlackBerry devices I appreciate the logic behind the Bold's operating system. The basic premise of the homescreen experience is to launch apps, though some themes (Today theme) will provide limited information such as upcoming appointments. From there, the OS puts a ton of functionality into both menu options, which are discoverable by hitting the menu / BlackBerry key (referred to as "dotty" by BabeBerry) and in shortcut keys. The theory here is that the device should be easy to pick up and use for beginners, with advanced features being discovered by the user over the days and weeks and months of ownership. In practice, I'd say RIM is half successful with this objective. Most people who do pick up a BlackBerry for the first time can come to terms with the basics quite quickly (checking email, using the media player, browser, etc.). 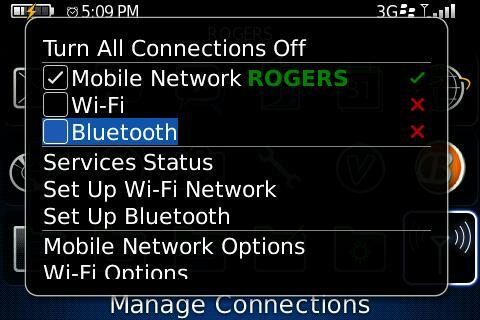 Yet at the same time, I've found that a lot of BlackBerry users don't discover the discoverable features on their own. While us addicts might find it readily intuitive that the space bar can also act as a period or that hitting the ‘b' key will scroll you to the bottom of a page, for many people (as was the case of other editors in the Round Robin) they won't find these features even after days of use unless they are told. I've met BlackBerry users who have used the device since day one that still don't know some of the most basic built-in shortcuts and capabilities of the device. Is this a negative? To some extent it is - having something be intuitive is always better, and there are lots of things about the OS where the term intuitive doesn't apply. Yet at the same time, if something is intuitive, it also often means simplied... or less feature rich (think iPhone). For those who invest a few days into really learning the OS, the benefits of the BBOS really start to unfold. You find a lot of functionality put on the option menus, and within many of the native apps (email, web browser, phone) are additional option menus that give the user a lot of control over the device. 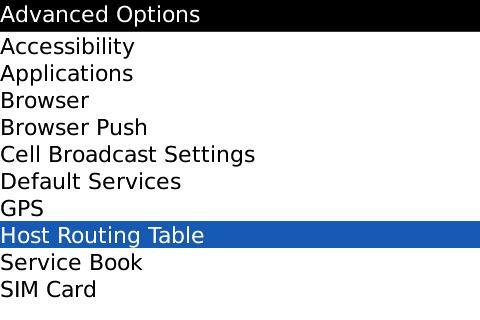 In some cases there are almost too many options - RIM could stand to prune out or bury some of the things that appear within Advanced Options on the phone. When it comes to their front facing full QWERTY devices, RIM has especially done a masterful job of determining how people use a mobile device. From excellent keyboards to one-handed ease of use to the speed of push email and that darn LED light that calls out to, it's easy to get hooked on BlackBerry. 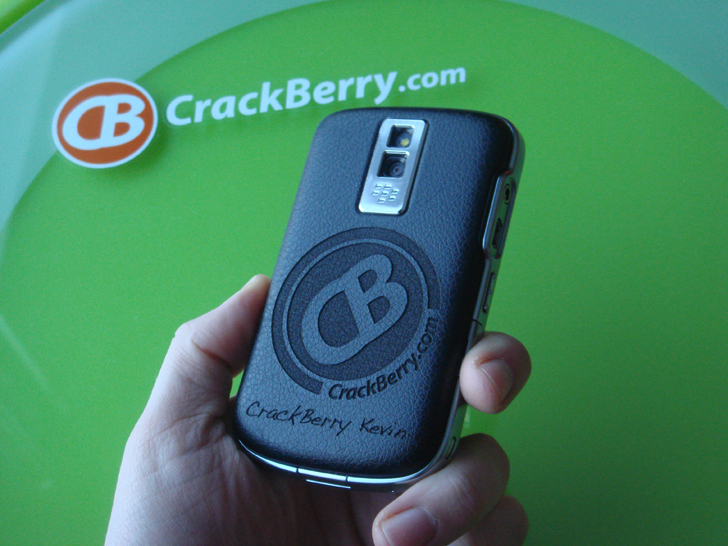 The CrackBerry nickname came about for a reason! Apps like BlackBerry Messenger have received subtle refinements and the new Alarm clock app is sweet! 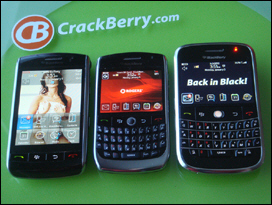 The inclusion of bedside mode, which allows the user to have the notification LED be turned off and the screen dimmed shows that RIM realizes just how people use these devices in their daily lives. 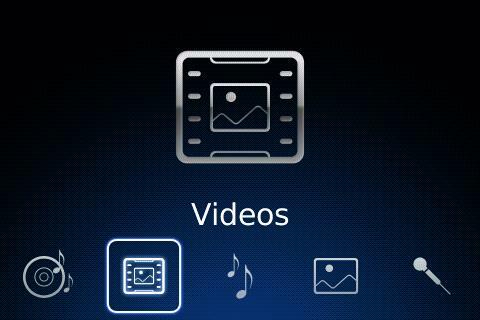 I personally have no qualms with the BlackBerry Media player apps - they get the job done, but for those who have years of time invested on iPods it always seems to be one of the areas where people express the need for improvement, which I'm sure is on its way in a future OS. Too many options in the BBOS for the average user?! There are definitely little things about the BlackBerry OS I'd like to see tweaked up, and thanks to Al's recent article on Nine OS Tweaks We'd Like to See in 2009 I don't need write about them here. Between his article and the suggestions in the comments that follow that article, basically the gauntlet has been thrown and the To Do's list made. #1 on that list is critically important to RIM's success long-term though - there does need to be wayyyyyyy more memory for installing apps. Current services like CrackBerryAppStore.com make it relatively easy for users to browse, buy and download apps, and app junkies know that you can only load up your device so much before the memory fills up and the phone bogs down. When RIM releases their app store in the months a head, a lot of BlackBerry owners are going to be going app crazy and will be needing every byte of memory they can must. 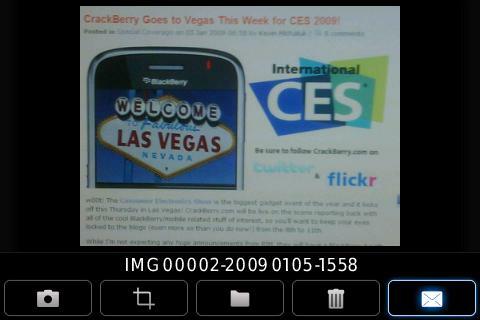 CrackBerry App Store - RIM's App Store coming soon! I look at this way... as a communication tool that allows you to gobble up your email and messages the BlackBerry OS and way of doing things is unbeatable. RIM has had this figured out for years. But as your all in one device... your laptop on the go (who needs a laptop anymore?!) there is still room for RIM to improve. Functionality can be improved as well as consumer user friendliness (let's clean up the myriad of options that are on the phone - some of them just are not necessary for consumers to access), which is important as more and more BlackBerry smartphones are purchased by consumers. RIM knows this. It'll just be interesting to see if what we see in the future is continued evolution or at some point a completely revolutionary OS launched. If you haven't read all of the other reviews I wrote throughout the Round Robin, I suggest clicking the image below and taking a skim through. 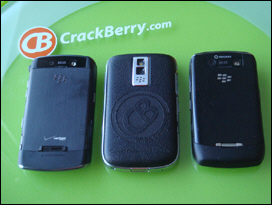 During each review of the the competitor's devices, be in the Palm Treo Pro, T-Mobile/Android G1, iPhone 3G and HTC/Windows Mobile Fuze, I compared each device and platform back to the BlackBerry Bold and the RIM way of doing things. There's a lot of philosophy in there! To recap the RIM advantange, I'm going to quote myself from last year as the strengths that made the Curve great last year are still what make the Bold this year, but even more so due to improved performance all around. Faster to Use - Each of the smartphones in the Round Robin can do things that the others can't do out of the box... the iPhone has full web browsing, the BlackBerry has BlackBerry Messenger, Windows Mobile has great multitasking, etc. But if you look at the common smartphone tasks that each of the phones can do (like make calls, send/receive emails and text messages, listen to music, pair Bluetooth devices, etc.) the time you need to spend on the BlackBerry to get things done is always less than on the other phones. Picture this: a BlackBerry User and an iPhone user are standing side by side. A third person sends an email to both the BlackBerry user and iPhone user (we'll assume the iPhone user is on Yahoo and getting the email pushed to his device). For the BlackBerry user to check the email, he only needs to pull the BlackBerry out of his holster - the device automatically powers on and the email message is immediately displayed. The iPhone user will need to click a button to power on the device, slide to unlock the device and then tap the mail icon to open the email app, and then tap on the message to read it....SLOW. As mentioned earlier, RIM has figured out how people will actually use their device and have optimized its functionality to suit. My Curve Bold is Always On and Always Connected. You don't need to hit a power button on a BlackBerry ever. Just pull it out of its case, or hit any button on the keyboard and its ready for service. The message notification light calls out to you. When you see it blinking you are compelled to reach for it. Fits like a glove. The Curve Bold is an extension of the hand. The iPhone was uncomfortable to hold - it felt good to put it away. On the other hand, when a BlackBerry is put away you feel like you're missing something. Best Community Ever - I had a great time over at Treo Central, TheiPhoneBlog, WMExperts and Android Central hanging out in their forums (everyone was super friendly and knowledgable) and digging through the blogs for more info... call me biased but I just love our CrackBerry.com community. Best smartphone community website EVER. 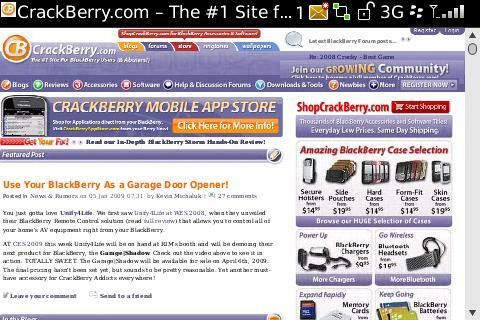 It's worth buying a BlackBerry just to be associated with this site! Thanks to all our members for making it that way! The competition isn't totally unfortunate. While the BlackBerry Bold is in my opinion the most usable, value-added in all the right places, all-encompassing smartphone package on the market today, there were some features from the other phones in the Round Robin that gave cause for me to feel envy. While this device was running a Windows Mobile OS and the hardware was built by HTC, you can still tell that Palm had a hand in its design and that they pay attention to the little details. While RIM often takes an "engineering" perspective in how it overcomes design challenges (think the Storm's touchscreen and battery door cover) you can tell Palm tries to take a more organic/holistic (lack of better words) approach. 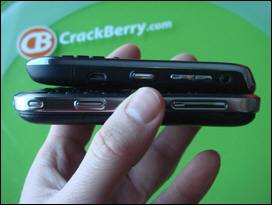 Examples - I love the Curved battery back/speaker port on the Treo Pro which ensures sound escapes clearly even when the device is lying flat on a desk (no need for "feet' like the Storm). I also like the dedicated WiFi on/off button. Leaving WiFi and Bluetooth on all the time definitely reduces battery life, so on my BlackBerry smartphones I'm constantly jumping into Manage Connections to turn them on and off. Dedicated keys or easy shortcuts to do that would be awesome. The homescreen experience. 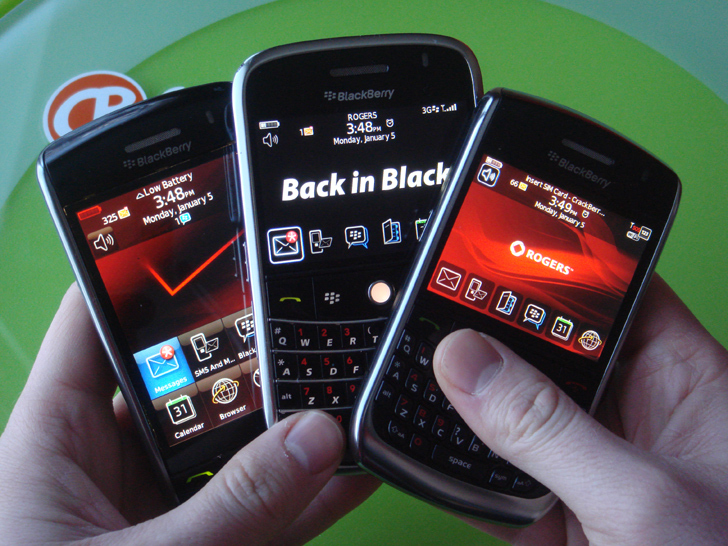 Both the iPhone and the BlackBerry OS tend to treat their device homescreen's as simply a place to launch apps. The Android homescreen experience is more powerful - it's fluid, it's customizable and you can add/remove widgets that provide useful info. Notifications. I love the pull down notifications tab on Android. Desktop space. On devices like the Bold and iPhone, you get the impression that your workspace is the size of the piece of glass in front of you - a couple inches by a couple inches. On the Android homescreen you have the ability to pull your homescreen left and right and reveal more workspace. Plus you can pull notifications down, and slide in your application ribbon. This gives you the impression that the actual workspace you're working on is more like an 11" laptop. I LOVE that. Stability. For an OS that is still considered to be in beta by most, I was impressed at how well Android ran on G1. I jumped into the marketplace and was able to download 6 apps simultaneously, with no need to reboot and I was able to continue working in the background! Functionality. It's not always easy to reach, but if you invest the time you start to discover Windows Mobile will let you do a LOT of stuff. Memory/Application manager. I'd rather have so much onboard memory that its never a concern, but until that happens I'd love to see a memory/application manager on BlackBerry that showed just how many resources any given open app was using and be able to forcefully shut them down from there. The App Store. 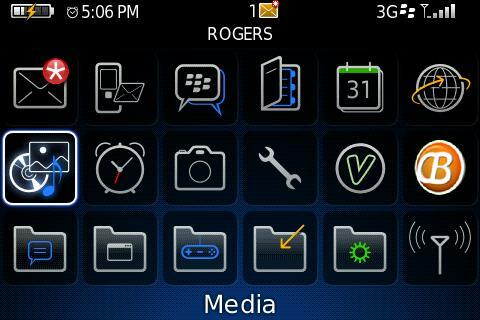 Yes, we have our CrackBerry App Store and it's good for all of us BlackBerry enthusiasts, but for the good of the platform I can't wait for RIM to get this launched. It's no longer about the device you buy. It's about what you can do/put on the smartphone you own after you purchase it. I look forward to the launch of RIM's app store. Ease of Attaining Media. The Bold has an amazing display and awesome internal speakers and it even has stereo Bluetooth. But for the average user there just isn't an easy enough way to load up the Bold with good content. Say I have a flight in the morning and it's the night before and I decide I want to have a movie or two or three to watch on the flight. How do I quickly/easily do that? I'm willing to pay - it doesn't need to be free. Maybe I want a podcast? Getting content easily without the need of third party apps to be installed is critical. App Quality. Granted, a lot of the apps that pop up in the iPhone App Store are crap (yes, I said that), but even the crappy apps look good. As mentioned above, there's not a lot of room for applications on BlackBerry smartphones. As a result, developers are forced to keep the apps small. iPhone app developers don't really worry about file size - apps can be huge and thus contain awesome graphics. For RIM to compete long term in the consumer world where people want apps, and pretty looking apps at that, RIM is going to have to give developers OpenGL and a ton of memory to play with. Touchscreen usability/gestures. The Storm is RIM's first touchscreen device. Only a small % of people love it immediately. Many more grow to love it as they get used to it over the course of a week or two or three. Others cannot come to terms with it no matter what. I can type on the Storm. I can also type fast on the iPhone without trouble (assuming I'm not moving or in the backset of a NYC taxi cab). I think Apple's means of gestures (pinch to zoom, elasticity on scrolling, etc.) have become a mobile standard. The Palm Pre is using them (whether or not Apple sues them we have yet to see), but push come to shove I think the Apple (and now Pre) way of doing touch is good. Of course this last point doesn't apply to the Bold which doesn't have a touchscreen, but RIM should look into it for future devices that do. Notifications. Apps like PeeKaWho are doing a good bandaid job of fixing this on the BlackBerry, but the Palm Pre natively brings in an intuitive way of receiving notifications and not having to quit what you're doing. Being able for apps to be resized on the fly to show off an incoming message preview without leaving what you're doing is awesome. Touchstone. Inductive charging? No cable required? HELLZ YEAH. Until the Palm Pre was announced I honestly was never able to say the word Palm or pick-up a Palm device without smirking or laughing. Good job Palm. You have me and a lot of people waiting eagerly to see just how good the Pre is once it is in our hands for real. I personally wish you guys luck. Competition is great for the end user, and the Palm Pre's innovations have definitely raised the standard in a few areas. The Smartphone Round Robin wasn't about picking a "winner" between the four operating systems and five devices (WinMo on two!). That would be an impossible task as of course Jennifer, Dieter, Rene, Casey and myself each think of our "home" devices to be the best (but I am right - BlackBerry IS the best, bar none, and you're wrong if you disagree!). But if there has to be a winner, then I think the real winner here is the consumer. Thanks to the Round Robin there is now an excellent smartphone resource for people to research when in the market for their first (or next) smartphone. With each platform and device being scrutinized by four editors (and highly endorsed by the fifth!) I think the truth behind each emerged - the pros and cons are there for all to see, as well as the compelling reasons why a particular phone may be right for someone based on their given needs and wants. With smartphone penetration growing at a crazy rate, despite the economic hard times we're now facing, the odds are somebody you know is thinking about picking up a new BlackBerry or iPhone or G1 or ??? If they have questions, just point them to SmartphoneRoundRobin.com for a whole lot of great content!